My Getaway was the perfect place for our group. We loved being so close to Duval street that we could just walk outside and we were there. Everything was quiet, the unit comfortable, and pool area was great. It was also nice to have a parking spot right on site. Check in & check out went smoothly. I would highly recommend My Getaway. Hello Janet, We are glad to hear you enjoyed your stay. Hope you come back soon. We had a lovely 2 bedroom at Duval Square. For two couples it was perfect. Hello Richard, We are glad to hear you enjoyed your stay. Hope to have you stay with us again in the near future. Ideal location! Right on Duval Street but set back a little bit so it is quiet. Convenience store next door. Great restaurants right downstairs! Very nice pool area! Hello, Thank you for your feedback, we greatly appreciate it. We are happy to know you enjoyed your stay. Great location, Beautiful condo, well maintained. The air conditioner had a hard time keeping the upstairs cool but would definitely stay here again. Hello Jason, Glad you enjoyed your stay. First of all the rental agent was helpful and knowledgible. The apt. was in a great location everything was in walking distance. The apt. was clean and you have a parking space that is important. We had a memorable time. Hello Randall, We are happy to hear you enjoyed your stay. Thank you for your feedback. comfortable. The parking space is a real plus in congested old town. Hello David, Thank you for your review. We are glad you enjoyed your stay. We had a wonderful time in Key west .All the food was perfect and time at Irish Kevin's was such fun. Watching the sunset at Mallory Square is a must , but be prepared to pay a lot to park .Lots of fun fishing and at the beach .We hope to go again next year. Hello Neema, Thank you for your feedback, we greatly appreciate it. Look forward to seeing you again next year. Great vacation. Key West Prperties were very helpful, allowing us to store luggage and to use their spaces to change. We did notice some black on the vents that we thought may be mold. The person at Key West properties thought it was caused by condensation. Also, there was a bug someone thought to be a roach so they may need to spray for bugs. Hello Donna, Thank you for your review. Maintenance did look at the vents and it was the condensation. Thank you for bringing it to our attention. Unit does have monthly extermination, and I let the company knoow. Hello Sandra, Thank you for your review. Great location for all the Duval street fun! Spacious setting and very comfortable. Enjoyed the pool area every day. Loved our stay there and would love to come back! 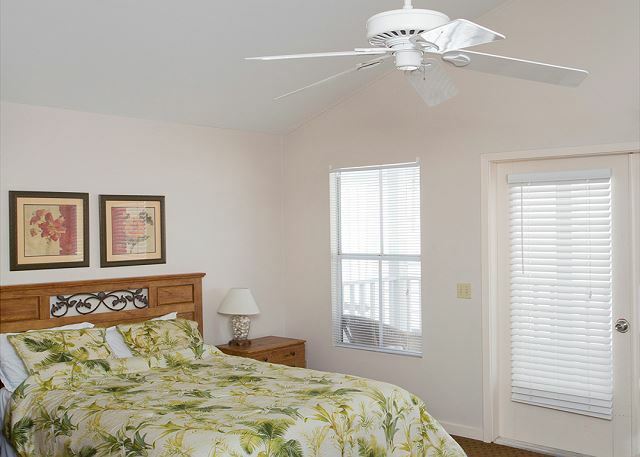 Easy Walking distance to great beaches and all the night life of key west. Hello Judy, Thank you for your review. Glad you enjoyed your stay. Hope to have you stay with us again soon. This townhouse is a quiet oasis on Duval: clean, roomy, and secure, with parking for one car. Furnishings are basic and the kitchen tools are minimal, but it has almost everything you need for a visit in KW. Duval Square Condo was a perfect location for us. It is in the heart of the action, but quiet. We used the free shuttle to get around the Key and limited walking. There are good restaurants nearby. Management team took care of some maintenance issues right away. Key pick up and delivery were easy. Negatives--while local management was open, transparent, and accessible, I cannot say the same about about the Vacation Broker umbrella organization. The total set of add ons were apparent only after booking--like cleaning fees, and booking fees. These are known fees for all renters, and should be transparent. I think this was our 6th year staying at "My Getaway" for the Christmas and New Years weeks. Unfortunately it was our last. Our son used to come with us for these weeks and now he is older and is unable to get the time off. Even with the 3 of us this place was almost too big. This year it was just my wife and I. I love this condo but when you have 3 bathrooms and only 2 people, its time to downsize. If you are staying in Key West for 3 days or longer, this is where you need to be. If you are traveling with up to six people, this is where you need to be. The pictures do not do it justice. This place is huge. when you enter the secured parking area under the condo, you are secure. (Good luck finding a parking spot on the island) No one without a key can get to you or the condo. from the parking area use a key to get upstairs to the residences. beautifully landscaped walkways lead to door 10. once inside, downstairs you have a large entryway with a small desk, coat hooks, and 2 windows. this opens up to the living room to one side and the dining room and kitchen to the other. washing machine is off the kitchen which also has a dishwasher. from the living room you can see 1 of the 3 bathrooms to one side and to the other, double doors leading to a large private outdoor patio. from there head upstairs to 2 bedrooms. the master if i had to guess is at least 350sq ft plus a full also has double doors leading to a deck that over looks the patio below. the second bedroom has 2 beds and its own full bathroom. what I am trying to do by giving all this info, is try and explain that when you stay here, with everything this condo has, you dont feel like you are on vacation in a cramped hotel or a small condo. you feel like you are home. which makes relaxing that much easier. This year they added a few new TVs, New stove, new microwave, and a New king size bed in the master. I will miss this condo. If you are going to Key West, Stay Here! You will love it! My Getaway Key West Fl. The accommodations is in a very good location. There are two restaurants within a 3 minute walking distance, as well as a convenience store and a grocery(Publix) within a 15-20 minute drive The condo is spacious enough for two couples, it was clean and the pool was a nice addition. The bed for me was an issue, but I've learned what's bad for me is great for someone else and vice versa. Overall, this is a good choice when visiting the Keys. As for the price, after adding on all the additional fees, none of these places are worth it, but they all have them so what's a vacationer to do? The one thing that would have been helpful is a booklet citing some of the restaurants, tours, bike, moped and jet ski rental companies. As well as fishing expedition companies. This was an all around perfect vacation. The unit was in great shape with terrific amenities, reserved PARKING-which is at a premium in Key West. The location could not have been better-toward the southern end of Duval St. with lots of shops, bars and restaurants! We were pleased from the minute we opened the front door with this rental. There were 2 couples sharing the space and we never felt crowded. It was clean and well stocked with what was needed to make our stay comfortable. Location was great as we could just walk to most everything we were interested in. Pool area was adequate but Lou ge chairs do need replacing. I wouldn't hesitate to stay here again. My Getaway was perfectly located, very clean and in good condition. We had a great girls week and would stay there again. Hello Susan, Glad you and the girls enjoyed your trip. Hope you plan another girls week again in the near future. This is THE place to stay in Key West! We have been staying at this condo for 5 or 6 years in a row for Christmas and New Years weeks. If you are staying in Key West for 3 days or longer, this is where you need to be. If you are traveling with up to six people, this is where you need to be. The pictures do not do it justice. This place is huge. when you enter the secured parking area under the condo, you are secure. (Good luck finding a parking spot on the island) No one without a key can get to you or the condo. from the parking area use a key to get upstairs to the residences. beautifully landscaped walkways lead to door 10. once inside, downstairs you have a large entryway with a small desk, coat hooks, and 2 windows. this opens up to the living room to one side and the dining room and kitchen to the other. washing machine is off the kitchen which also has a dishwasher. from the living room you can see 1 of the 3 bathrooms to one side and to the other, double doors leading to a large private outdoor patio. from there head upstairs to 2 bedrooms. the master if i had to guess is at least 350sq ft plus a full also has double doors leading to a deck that over looks the patio below. the second bedroom has 2 beds and its own full bathroom. what I am trying to do by giving all this info is try and explain that when you stay here, with everything this condo has, you dont feel like you are on vacation in a cramped hotel or a small condo. you feel like you are home. which makes relaxing that much easier. Hello, Thank you so much for your feedback, it is greatly appreciated. Looking forward to having you and your family stay with us again. Property was as accurate per description. Clean and normal wear and tear. The bed in the master bedroom made noises every time you moved, was a nuisance (one of the main reasons for the 2 rating on furniture). Hardly any usable cable channels all were blocked. Customer service was good with management. only thing to improve on would be a lock box at the property, had to take a cab to the management office to pickup/drop off keys. I would recommend this property for the price. Advice bring all spices and cooking supplies. in condos I have rented before the previous guest salt, pepper, spices, various condiments were left for the next guest; they appeared to all have been removed here. Hello William, Thank you for your feedback. We greatly appreciate your suggestions. I booked this place for a family vacation for 4 adults. Although we weren't in the condo for very long at any given time, I always felt like we had plenty of space to spread out. There are two bedrooms - one with a queen bed, the other with 2 twins. No one wanted to share a bed, so one of us slept on the couch, which was fairly comfortable. The kitchen and living area were spacious, the kitchen was well stocked with pots, pans, plates and utensils, so you could easily cook food at "home" if you wanted, and there was a nice, enclosed patio outside. It was great to have so many bathrooms - each bedroom had its own full bathroom, and there was a half bath on the first floor. 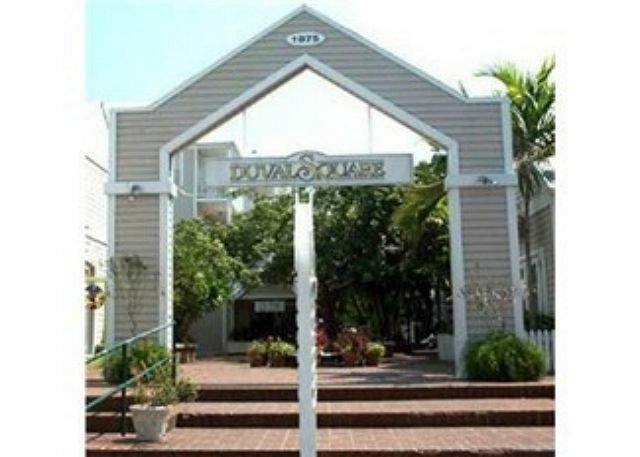 The location is excellent - right on Duval Street, and an easy, mile or so walk to the water. You need a key to get into the complex, plus a key to get into the unit itself. - The frame of one of the twin beds was partially broken and the mattress would fly off if you leaned on the end of the bed, but if you laid down it stayed still. Overall, I'm very happy with the place and I would stay here again. The location was excellent and it was nice not to need a car for a few days. This condo is in a great location. Only steps away from the Duval activity. We walked or rode bikes everywhere. When we needed a little break from all of the Duval action we could go back and sit by the pool. The condo was just as shown in the pictures. Very clean and spacious. Becky was vey accommodating. We would definitely rent this place again. Hello Lisa, Thank you so much for your feedback we greatly appreciate it. Hope to have you stay with us again soon. My Getaway in Duval Square is a perfect location, you can easily walk to all points of interest. Many restaurants and bars are very close, some of our favorites Blue Heaven, Mangia Mangia and Louie's Backyard. Favorite Bars Slopppy Joes and Willie T's. There are so many places that have great food and music at night but also during the day. I would highly recommend renting bikes one day and exploring the whole island. The condo was clean and fit our needs, it could use some updating and the back courtyard needs some work to make it more inviting. Management company was helpful since we arrived early and let us store or bags. However on check out it seems odd that you have to drop off your keys in the complete opposite direction of the airport. They need to have a drop-box at Duval Square. I rented this unit for a weekend in Key West. The process to pickup and dropoff the key was easy - added bonus was the covered parking spot. Location is perfect - right on Duval St - and short walk to the big bars/restaurants. Multiple restauants in the courtyard of the condo building. The only drawback was we had 2 twin beds vs. a double in the 2nd bedroom but was not a problem for our group. Would definitely stay here again! Hello Ashley, Thank you for your feedback. Please come back and stay again soon. Very spacious, perfect for families or fun girls/guys weekend. Very quiet, but not far from all the action downtown. No nice views, but nice plants in common area gives it a tropical feel. Felt safe and secure. I would definitely stay again! Hello Heidi, Glad you enjoyed your stay and hope to see you again soon. Hello Miriam, Hope you come back soon. The place very clean and organized! The beds could be updated ,but overall I'll definitely stay here again! The staff was very friendly and helpful! Very close to everything? Hello Ivan, Thank you for your feedback, we greatly appreciate it. The beds were just replaced, sorry if they were not to your liking. We hope to have you stay with us again in the near future. Went down as part of a group of 6. When we got there, we were surprised how nice the rental was inside. We were very happy with how easy it was to get checked in and the constant contact from Becky. The pool was a little dirty so we stayed away from that. Overall very happy. Hello, Thank you for your feedback. We greatly appreciate it. Hope to have you stay with us again in the future. This place was perfect for a girls trip (5 of us). The location was ideal for us and the dealings with the rental company were simple and without any problems. Would recommend! Hello Jennifer, Glad you enjoyed your stay. Thank you for your review! Overall we had a great, successful stay. The place was nicer than I anticipated. It isn't in perfect/new condition but that is expected for a rental condo in Key West that gets frequent use. There is just some chipped floor tiles and the paint job isn't the neatest but again that is expected of a condo that gets as much use as this condo does. The A/C worked very well both upstairs and downstairs for the hot conditions we had, and the fans worked great. The patios looked nice, but we didn't spend any time on them as the weather was warm and the views from the condo patios and windows are just of walls of the neighboring condos. We had 6 (max occupancy) in our party and from what I heard from my friends was that the love seat and the sofa sleeper were surprisingly comfortable. Also the ice maker in the freezer made ice VERY quickly - we thought we would have to buy ice for drinks but we never did. Only thing I would have liked was for more keys to open the gate onto the property and the door to our condo. With 6 adults in our party and only 2 keys we had to make sure no one wandered off on their own as only 2 people had keys. If someone wandered off and their phone died they wouldn't have a way to get onto the condo grounds. Not a big deal, just would be nice for the future to have at least 3 keys. Although we were a 25-30 year old group of friends, I will say the property would be good for families as it was quiet, low-key, and secure. Also a plus to have the enclosed, secure parking garage for 1 vehicle. Hello Patrick, Thank you for your feedback, we greatly appreciate it. Hope you come back and stay with us again in the near future. Great spot to enjoy many nearbyof the music venues. Especially enjoyed the Little Room Jazz Club , McConnells and LaTeDa. Becky is a wonderful property manager and great to work with. Hello JoAnn, Thank you for your feedback, we greatly appreciate it. Also, thank you very much for your repeat business. Overall the stay was very nice. Had some minor issues with cable and the wifi didn't work for 2 days but the mgmt team did their best to help. Hello Michael, Glad you enjoyed your stay and look forward to having you stay with us again. I apologize for the issue with Comcast but glad they were finally able to get things up and running again. First time at the Keys! This was my first experience in the Keys, and we had a great time! I like the quietness of the area of this condo. It was above some nice restaurants with a private garage and pool. The pool was being maintained when I got there, but I was there on a weekday---good business decision to do repair vs the weekend. I don't fault anyone on that. The kitchen was well stocked with utensils, pots, plates for your needs, you just bring the food and condiments. Towels and linen was fresh, and the bathrooms were clean. Upstairs was a little warm, but it's the Keys. We kept the ceiling fans on and the blinds closed and we were content. Late night before we left the hot water heater gave out, but we were leaving early the next need for us to bother management. It's not like they planned it going out. Overall, was a great experience, management was great handling key handoff, directions, etc... never had to see anyone face to face, they took care of everything via email. Hello Grace, Thank you for your feedback we greatly appreciate it and they have been addressed. Hope to have you and your family stay with us again soon. Key West Vacation Rentals made our vacation so incredibly enjoyable. The condo was absolutely perfect for 6 people with 2 master bedrooms and a pull out couch. The location was great as it was quiet but very close to everything! The check-in and check-out process was a breeze and it was all done without encountering a single staff member. When I called with questions prior to the trip the staff was very helpful and responsive. I would very highly recommend this condo/ company to anyone looking for a Key West getaway. This was our first annual visit as we will definitely be returning for the 4th of July next year! Hello Kristina, Thank you for your feedback and happy to hear you enjoyed your stay. See you next year! I very much recommend this property. Hello Egil, We are glad you enjoyed your stay. Please come back and visit us again. A great place for us to stay. Grandma, grandpa, mom and dad and two little girls. Parked the car and didn't move it until we left; walked everywhere. Kitchen well equipped so we could cook and eat some meals at home. Washer dryer came in handy, great wifi signal. Hello Susan, Glad you enjoyed your stay. Hope to have you and your family stay with us again in the future. We loved this property rental. We had six women on a girl's getaway and this location was perfect. It was very clean and the kitchen was equipped with everything we could need. The pool was great. The location was awesome, right on Duval Street. It was a 7 minute walk to the Southernmost Beach, which was small and not too crowded. They have a very secure parking garage, which is super hard to find in Key West. The only issue we had was with the airflow in the master bedroom. The ceiling fan for some reason wasn't cutting it. Maybe a stand alone fan would help! We would definitely stay here again and recommend it to anyone visiting Key West. Hello Jaimi, Glad you enjoyed your stay. Thank you for the feedback we will take a look at the airflow in mater bedroom immediately. I would have been happy to send someone out to look at it had I known about it during your stay. Hope to have you stay with us again in the near future. Our unit was the perfect unit for our stay! The location is a walk or bike ride away from all the attractions Old Town has to offer. 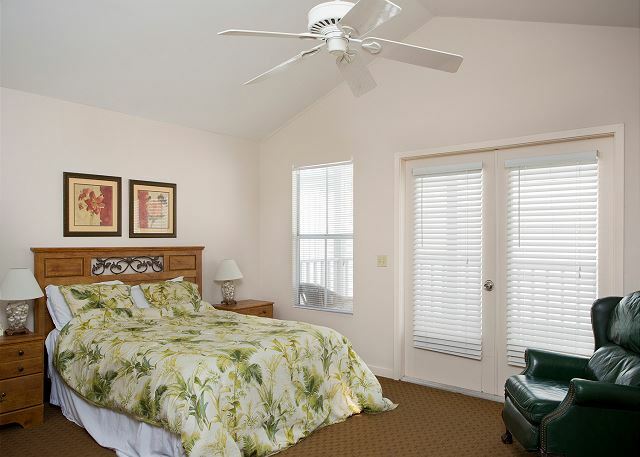 The unit itself is comfortable, clean, well furnished and quiet! And, the rental agents were super to work with! I would highly recommend it to anyone! Thanks for making our Key West vacation so wonderful! Hello Mary, Glad you enjoyed your stay. Hope to have you stay with us again soon. Overall, the stay was great. The one huge issue was the pull out sofa bed in the living room. It was so uncomfortable that it was impossible to sleep on it. We had to rotate everyone through the rooms and the sofa in order to make it fair. People were not happy. It needs to be replaced if you claim that the condo sleeps 6. Hello Michael, Thank you for your feedback we have ordered a new couch and love seat. Thank you for your bringing it to our attention. Hope to see you again soon. The condo location was perfect for us, on the quiet end of Duval St. but with off street parking which is a huge plus in Key West. It was quiet and allowed us to cook some of our meals (although the kitchen was only minimally equipped). The second bedroom could have fit a queen bed which would have made it more comfortable. The pool was a nice touch. Overall a good experience. Hello Stephen, Thank you for your feedback. Glad you enjoyed your stay. Hope to see you again soon. The place was adequate and a good price, and the location can't be beat. Walking distance from anything on Duval Street, and the off street parking is a big help. Secure building compound with everything you need. A little bit older but had everything we needed and the booking staff were helpful. Hello Kevin Glad you enjoyed your stay. Hope to have you stay with us again in the future. great place and THE BEST value on the island! Key West Vacation Properties is a company we have done business with for the last 4 years. They have made the process of renting a vacation property stress free. We put in our request every year and they take care of everything. From the invoice to the payments and picking up and dropping off keys. All very easy and well organized. The property, my getaway, is a great location and very large. Several years before we found KWVP,we would stay in a hotel during our vacation. For an average of $300 a night we would get one room. Now for less we get 2 bedrooms, 3 bathrooms, 3 tvs,full kitchen, washer and dryer, 2 large decks, secured parking, secured entrance, and a pool. Believe me,I've checked them all, this IS the best value on the island. Hello Jason, Glad you enjoyed your stay and we greatly appreciate your repeat business. See you and your family next year! This was our second year staying at My Getaway. Overall we love it here. The box spring?foundation in the master bedroom is broken and should be replaced. I was able to shore it up by using a stockpot upside down under the broken wood of the foundation but without the extra support the bed is unusable. All of the kitchen items that were available last year (spices, sugar, flour other sundries) have been removed. We left a few things that we didn't use or finish (non-perishable) for the next occupant. Pool area is very nice and we enjoyed watching the comings and goings on Duval St. New York Pasta Co in the plaza below is AMAZING! Panini Panini is excellent as well. Very convenient location with CVS, Circle K, Subway, 5 Guys all on the same block. You could literally never cross the street and have everything you need. South Beach is a 5 minute walk and has all you need to enjoy the ocean. Hemmingway House is a block away and well worth the price of admission. Hello Michael, Thank you for your feedback we greatly appreciate and will address the box spring immediately, we had not been made aware of that. Condiments and such things as spices are not provided and if they are left behind once they are expired they are removed. Thank you for the items you left for next guest. Glad you enjoyed your stay and hope to have you stay with us again in the future. My group and I had a wonderful time at this property. It was right on Duval street, so you don't have to go far to go to great bars and restaurants. The space accommodated the 5 of us just fine, everyone had their own spaces, the half bath down stairs was a real plus. We also experienced great weather so we were able to enjoy the patio area, and were able to enjoy the sea breeze. The pool was also nice to get a quick getaway, really made it feel like a vacation spot. The space could use a few upgrades, but overall had everything we needed. We cooked an elaborate Thanksgiving dinner with all the trimmings :-) Had a great time and would return. Hello Kelsey, We are glad you enjoyed your stay. Hope to see you and your family again soon. This place was perfect for our stay for the offshore boat races in November. Each bedroom had its own full bath and there was a half bath downstairs. The living space was very comfortable for 3 of us. The kitchen was fully stocked with the essentials for cooking and had a dishwasher, we also used the washer/dryer that was in the unit. There was a patio area as well that was shaded. The only downside was that the pool was really just a wading pool at it wasn't clean when we used it. Other than that we really enjoyed our stay there, though it is on the opposite end of Duval from where the races were held. It was still in a nice area on Duval not near the loud crazy bars, but obviously in walking distance of many shops, a beach with public access, and restaurants. Hello Kristina, Glad you enjoyed your stay. We will let condo association know about your feedback in reference to the pool. Hope to see you again soon. We had a wonderful time in the town of Key West. Lot's of shopping and plenty of places to eat and drink. We snorkeled and jet skiied. Hello Debra, Thank you for your feedback. Glad you enjoyed your stay and hope to have you stay with us again soon. This vaca rental was perfect! It was clean and entitled 2 couples to their privacy with 2.5 baths and 2 bedrooms. Centrally located on Duval St meant parking the car and walking for the week leaving no chance to drink and drive. I would of thought there would be a hair dryer on the premises so I didnt bring one but other than that it was fine. Hello, Thank you for your feedback we greatly appreciate it. Glad you enjoyed your stay and hope to see you again soon. The property was clean and bright. Right off duval. Very convenient! It was gated so it felt secure. The pool was great and we had no issues at all with other tenants. Everyone was very friendly. There's a restaurant and bar right down stairs and a Circle K convenient store next door. Great place to stay! Hello Brandi, Glad you enjoyed your stay, hope to have you and your family stay with us again soon. Hello Fredric, Glad you enjoyed your stay and hope to have you stay with us again in the future. We just stayed at this town home for a week while attending a destination wedding. The location was perfect since it was near everything, yet far enough from all the craziness. We had bikes for the week and it was the best way to get around town. The rental office was helpful and answered our maintenance request immediately (we requested a new shower curtain and the hot water in the master bath wasn't working). The only complaint I have is the cleanliness of the floors which seem to have never been mopped with any cleaning agent or the carpet vacuumed. Just wear your flip flops at all times. All appliances worked and linens were provided even two twin air mattresses were available which we used one for my 5 yr. old. The unit is close to the pool which is clean but small yet serves its purpose to cool off. Overall no complaints, we had a great time just would ask for cleaner floors next time! We traveled with another couple and enjoyed the property and location. I would recommend they have more hangers in the closets as there was only 1. Also, an iron would have been useful. There was an ironing board but no iron. We went deep sea fishing and caught some mahi mahi and the restaurant right next to the property, The Pasta Garden cooked it for us. They cooked it 4 different wats and made side dishes to go with it. The owner, John Gadonniex was delightful to work with. He was very accommodating and his staff is top notch. We also had a couple meals at the restaurant and would rate it a 10. Terrific in every way! It certainly is a place we will return to. Hello Donna, Thank you for your feedback we appreciate you letting us know about the iron as we were not made aware of it, we would have taken care of that immediately during your stay. Hope to have you stay with us again in the future. Great location for a good price!!!! Hello Wayne, Thank you for your feedback. Glad you enjoyed your stay and hope to have you stay with us again soon. We've stayed at other units in this property - always a great experience. We had a bit of trouble with the AC unit (lowered temperature too much and it froE on us - our fault) but the broker took care of everything for us. With that - the only downside to this unit is that the second floor doesn't cool down as much as the first floor. One night during our stay the second floor was very warm. The ceiling fans helped a bit. Had a wonderful time! Walking distance to everything. Safe parking and great mgmt communication. The property location is good, just realize where it is compared to any activities you plan. The buildings themselves are undergoing some type of renovation on the outside, not enough to disturb our trip- but definitely noticeable. We wished someone had paid that much attention to the inside... floor tile in the kitchen is broken and coming up (conveniently covered with a rug), the blinds are paper thin cheap plastic and many are broken (letting lots of light in at night and more during the day). The inside of this property could use a refresh. That said, it was comfortable, seemed safe and was a good price and location for our needs. Hello Susan, Thank you for your feedback, we greatly appreciate it. We have made note of all your suggestions and will be addressing. My Getaway was a blast! Lobster Fest was a blast! We had a great time and loved being on Duval Street, but far enough away from the main strip. The property was nice and well kept. Bathroom shower curtains and kitchen refrigerator were the only things that could use some work. Other than that, we were very satisfied. Thank you! I have stayed there before without incidence this time there was a group in we think #9 who were up all night yelling profanities, etc. on our last night there I had to call 911 as I had young children with me and this woke them up and they were afraid, as I was. Also the pool was not available due to some other problems with other tenants. I do thank the rental agent for being understanding and refunding money due to no pool during our stay. Property is OK. Needs some maintenance and upgrades but overall acceptable, but not great. Good location if you want to be on Duval Street but away from the noise. Includes a parking space in a garage. Safe, secure location in the middle of the action. We had a great time in Key West! My only complaint was that the comforters are clearly not cleaned very often. The location made up for the fact that it wasn't spotless! We stayed here for a bachelorette party and it couldn't have been better. Having stayed in Key West hotels many times, this was by far a better way to do it. Plenty of room, 2 and a half bathrooms, and a great location. Definitely would recommend My Getaway!! Spacious and great location. Terrific value for Key West. Great location. Unit was a bit dated, but overall it was what we expected and a good value for the money. Mattresses need replacement. Would definitely stay there again. It was alot of fun. Able to walk everywhere. Great location! Not a swanky place but worth the rental price. Had everything you need! Would definately return! Overall experience was very good. The location was excellent. The unit was clean and well stocked, however,the carpets were very dirty and toilet seat in the second bath upstairs was in very bad condition and needs to be replaced. The property in general has many maintance issues that have been neglected or poorly done. Great location for the property. The carpet was very dirty and worn and the couches were a bit uncomfortable. We had some very noisy neighbors the last night of our stay, but overall it met our needs for our stay. Hello Kevin, Thank you for your feedback, we greatly appreciate it. The carpet has been ordered and the owner has been advised about the couches. Hope to see you again soon. We spent a very enjoyable vacation. Excellent apartment. The location could not be better. We could walk everywhere. He delighted us much. Definitely if we have the chance we would again. Hello Luz, Glad you enjoyed your stay, hope to see you again soon. We orginally booked a condo farther away not realizing how far away from Duval street we were going to be. 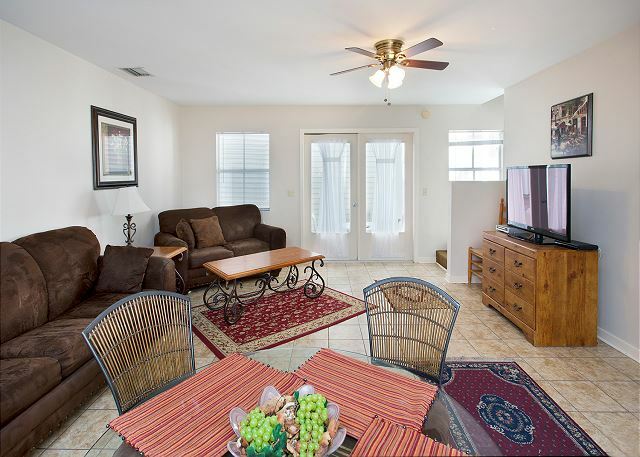 2 weeks before our stay we called Key West Vacation rentals and we were able to switch properties without any issues. They were very understanding with the change and very helpful. Our condo was in a great location. On Duvall street but farther down so the night life was close but far away that the noise was not an issue. Overall everyone was very helpful and we were happy with our location. This was the 3rd year my friends and I have stayed at the complex. One of the bathtubs was clogged during the shower. Overall great location and walking distance to activities. Would love to have returning discount stay each year. This is a great place to stay with friends or family. Very easy access to Duval Street. The only complaint that I could make was the on call manager was not helpful in helping us find parking for our second vehicle. You only get one parking spot. If you do have a second vehicle take it to the place across from the Southernmost Hotel....only $10 a day. Hello, Glad you enjoyed your stay, each unit comes with one parking space, we do offer our guest to park at our check in office if they do come with an additonal car. We appreciate your feedback. 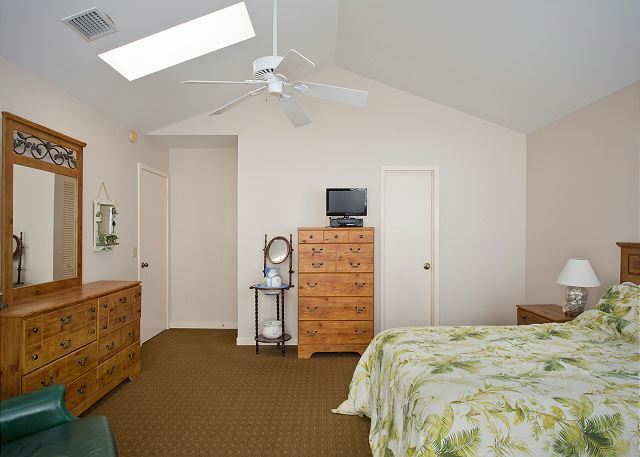 Look foward to having you stay with us on your next stay in Key West. The rental was great. I think it could use a few upgrades but it was a great stay and we all had a great time. This is the second time we have stayed at this location. Would it be possible to get a discount for next year after staying at the same place for 2 years in a row? Overall great location. Very happy with the condo - it was in a great location and had all the comforts of home (altho would have been better with Wifi). Staff was great. I do think they should make other parking spots available if not being used. Strongly recommend this spot! Great place and location. The rooms were clean and everything was working fine. The rental management group was friendly and helpful. I will would definitely stay at this place again. The unit was in good condition. We had an issue with the thermostat but it was taken care of that same night. Overall, I would stay there again. We were very satisfied with our stay. Very Good Amentities and very happy with the location. Furniture needs a little updating but all and all i would return. Nice - Comfortable - Relaxing & Secluded in the heart of Duval St.
We had a joyful time in Key West for the Fantesy Fest in October. Our location was perfect. The main street private entrance parking was convienent & safe. Our unit was located 1 story above Duval St. with a nice comfortable pool area. We had a A/C problem that was fixed very quickly by the staff. The townhome can eaisly sleep 6 and fit 8 people if needed. I would give the unit and management staff a 4 1/2 star rating out of 5.
the furniture was not moved back to its original place when we first arrived. We had to straighten it out. there was no detergent for the dishwasher. the dvd player was difficult to set up. overall it was a wonderful place to stay. We would have liked to have a paid receipt upon leaving Key West. Jamie and Becky (properity managers) provided us with outstanding assistance in making our stay an incredible experience. Making plans for next year!!!! The only thing missing was internet connection. Great place to stay. 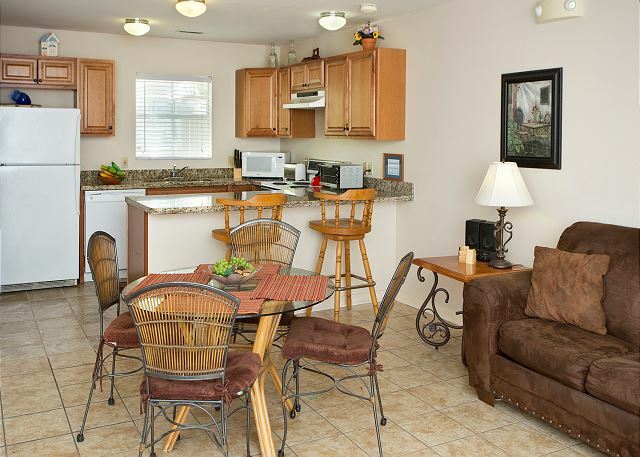 It is clean, private, and convenient to restaurants, shopping, etc.